The Nissan Micra, known in Latin America and in most of the Asia as the Nissan March is a supermini car produced by the Japanese manufacturer Nissan since 1982. The Nissan march Nissan has been fervently involved in the supermini class for decades. If you live in a large urban area like Kampala and need a car, there are many things that you should consider. First, and foremost, you need to consider the total cost of owning a car. These costs include the purchase price of the car, insurance considerations, taxes, parking, fuel, and maintenance. All of these considerations often lead the savvy urbanite to the supermini class of cars. Buying a Nissan March from a Ugandan Car bond can cost up to 24 million Uganda shillings for a recent year of manufacture and latest model. One that has been used/driven in Uganda for some time can cost around 10 to 18 million Ugandan shillings. 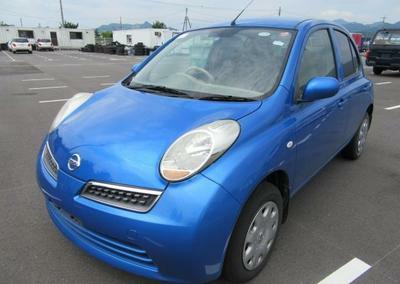 If you’re to buy a Used Nissan March from Japan mainly you may pay averagely about USD 800 -3,500 depending on the condition of the car, model and the car dealer you use. However, the quoted price typically does not include Freight to Mombasa port and transportation from Mombasa port to Uganda. Additionally, it excludes taxes charged by the Uganda Revenue Authority which include Import Duty, Value added (VAT), Withholding Tax, Environmental Levy, Infrastructure Levy, and Registration Fees. Just like many cars in Uganda, shock absorbers and bushes is another problem that keeps tormenting this supermini car. In addition, its spare parts are readily available but expensive. One can access them from kiseka market, Ndeeba and Bwaise areas. Many car parts are from these areas are mainly second hand or “used”. So one wants brand new spare parts, he or she will have to order them from abroad. Well, Ugandans buy the Nissan March basically due to low fuel consumption capacity, it’s easy to pack, has low maintenance costs and bulky as the SUVs. In addition, it’s small enough to fit in many homes within Kampala which are characterized with no or very limited parking space. Some other cars in Uganda one can buy instead of a Nissan March include the Toyota Spacio, Toyota Raum, Toyota Vitz and Mercedes-Benz A130. These happen to be the most common supermini cars in Uganda. The Nissan March is known for its spartan, yet comfortable interior. The march also offers ample of room for five passengers. This Car also features enough cargo space for any commute or an extended trip. The seats are comfortable and spacious with enough leg room which makes it able for a person to have a smooth and comfortable ride. The dash is well designed making able for the driver to access all the controls with a lot of ease. The 2004 Nissan March offers the superior styling that a young urbanite is looking for. Its aggressive stance and artistic design allow it to stand out from the supermini crowd. The lower fuel efficiency can be forgiven when you experience the thrilling acceleration and power offered by the larger engines featured in the March line-up. Making a final decision to buy a Nissan March will come down to your personality. Are you more concerned with fuel economy or would you rather feel a bit of exhilaration when you touch the pedal? While we are not recommending the Nissan March, you now have the information you need to make an informed decision. Good luck with your Next new car purchase!